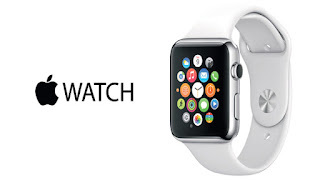 Despite the sophisticated look of the Apple Smartwatch, the screen light issue has attracted the attention of many users who believe that the watch does not have to light up at every arm movement. Lance Ulanof a Tech writer on Mashable has reported that Apple will be releasing a watchOS update that will work just like the Android Smart watch’s Theater mode which turns off the screen and notifications. According to him, “As an Apple Watch owner and movie lover, I have often wished for this tiny, but a smart feature. Now, just in time for my Oscar movie marathon, Apple is prepping a watchOS update, version 3.2, that will include Apple's own version of Theater Mode". Android smartwatch owners already have a solution: It's called Theatre Mode and it basically turns off the screen and notifications (including haptics). Theater Mode will let Apple Watch owners keep the screen and sound off for the duration of the movie — even if you raise your hand, the watch screen won't wake. You will still, however, feel notifications through haptics. If you want to view one, you can tap the screen or press the watch's digital crown. WatchOS 3.2 will offer some other updates including access to SiriKit. Introduced last year, SiriKit will give developers direct access to key Siri functions like calling, messaging and photo search. App developers will be able to tap into these calls through their apps, which means Apple Watch users can, when in these apps, utilize Siri for voice-activated functions. Apple is still yet to announce when the watchOS 3.2 will be officially released to Apple watch users but I guess it should be within Q1 – first quarter of this year 2017. We will surely get you notified as soon as it is released. Are you also excited about this proposed version? Tell us your opinion via comments.